Facebook removed a post from a former employee who accused the company of “failing its black employees and its black users”, saying the memo about racial discrimination violated its “community standards”. Mark S Luckie, who recently stepped down as strategic partner manager, published the piece on Facebook last week detailing his experiences as a black employee at a tech corporation that largely excludes African Americans, saying the company has also unfairly censored black people on the platform. Ready to experience a radical transformation in mobile communication? AT&T is launching mobile 5G in cities across the country over the next few months. Here’s everything you need to know about the AT&T 5G rollout. The post AT&T 5G rollout: Everything you need to know about the faster network appeared first on Digital Trends. AMD’s latest entry in the RX 500-series hopes to steal the spotlight back from away from Nvidia, at least when it comes to mid-range budgets. 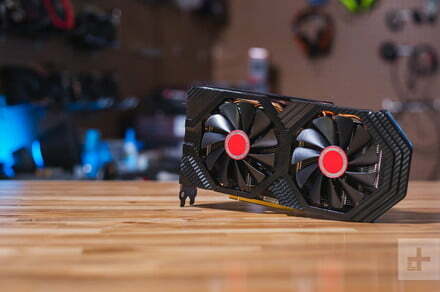 While RX 590 is the most powerful graphics card you can get for under $300, it won’t win over many Nvidia fans. The post The RX 590 is a solid mid-range GPU, but won’t move the needle for AMD appeared first on Digital Trends. The TechCrunch Disrupt 2018 conference took place in Berlin last week and AndroidPIT was there to catch up with some of the latest tech startups to find out what they are working on. Here are our top 5 to look out for in 2019! A boy who reviews toys with his mum and dad has somehow become the world’s highest-earning YouTube star. What’s his secret?